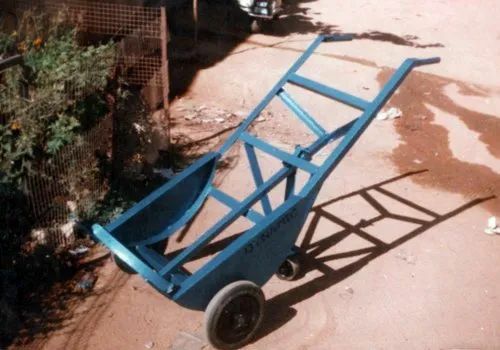 Leading Manufacturer of angle trolley from Bengaluru. These trolleys are custom made specially for moving heavy sacks, cylinders and other heavy load. These trolleys are can be made to lift load of any dimension and weight. These trolleys can be made for Multiple Load. Like the other trolleys, these equipment are also completely customizable from head to toe.